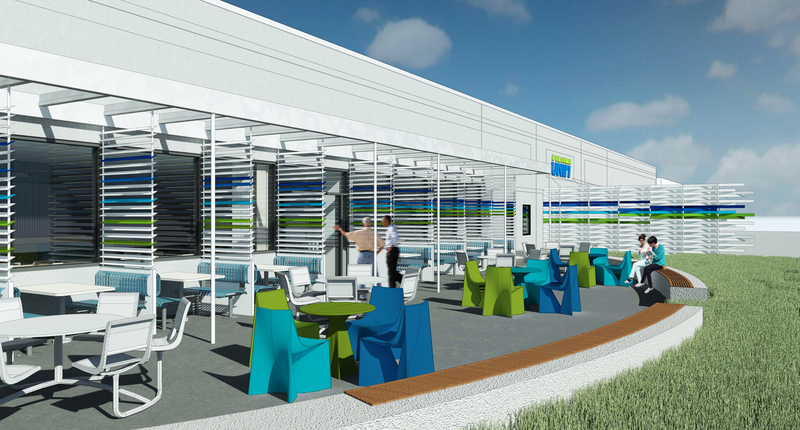 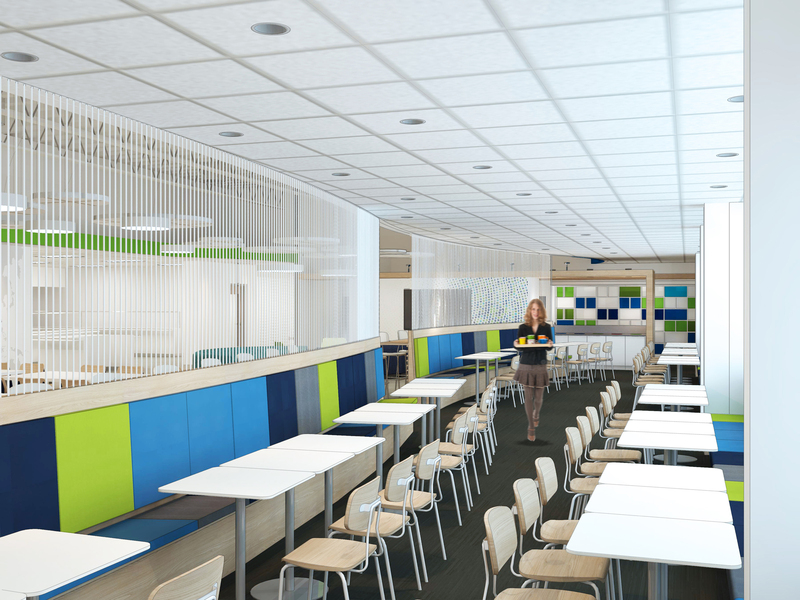 Unifi retained Workplace Strategies to assist in the creation of their Global Innovation Center. 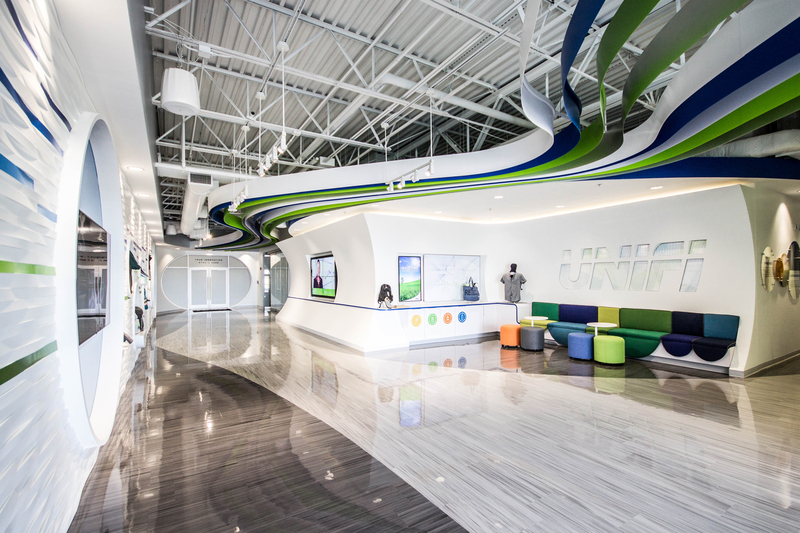 Working closely with Unifi’s marketing and product development teams, Workplace Strategies conceptualized a renovation of approximately 11,000 SF of office space into an innovative, one-of-a-kind showroom. 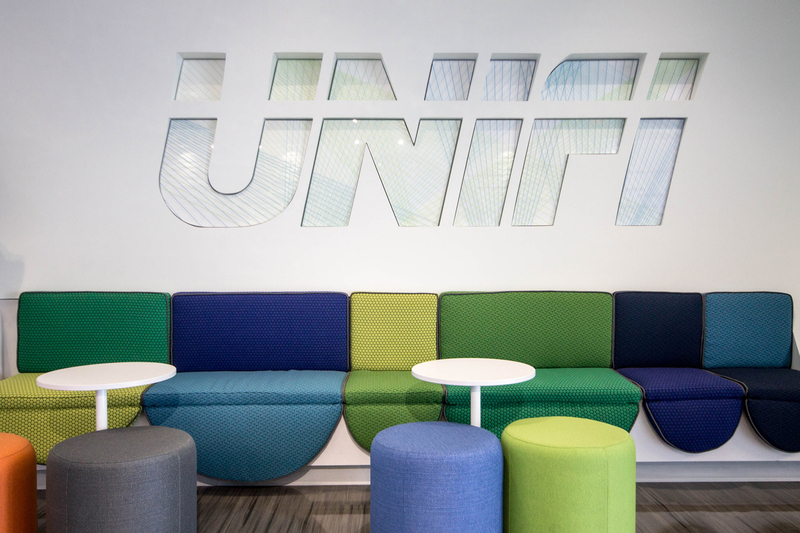 Unifi plans to utilize the new Global Innovation Center as a collaborative destination for their clients and partners to aid in the development of new ideas and products. 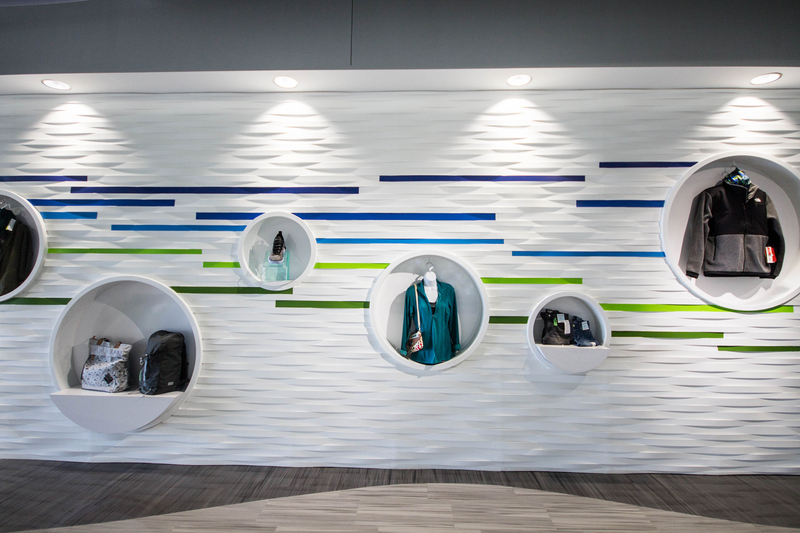 Throughout the project, Unifi material was uniquely utilized within the architectural elements and brand identity was heavily integrated. 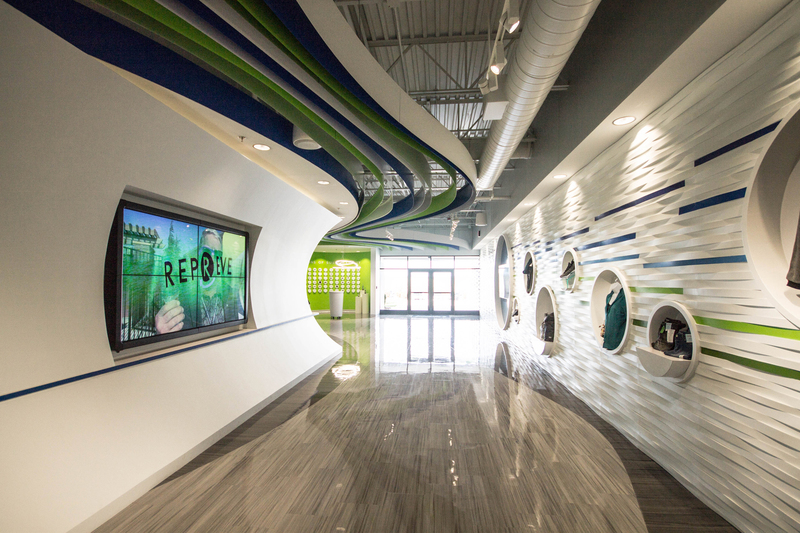 An immersive audio-visual package was conceived and integrated into the design elements. 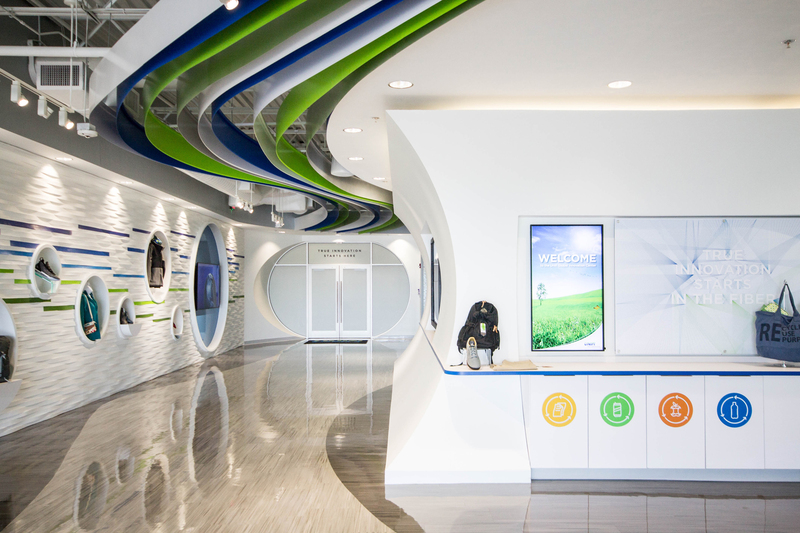 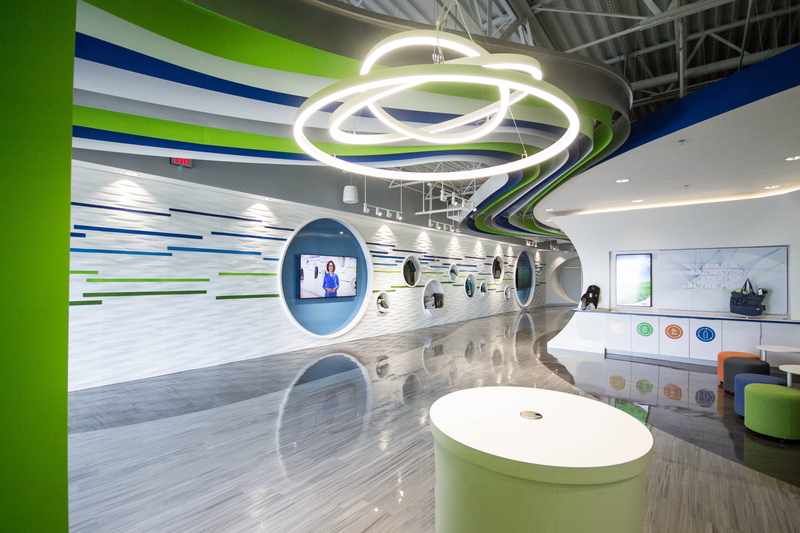 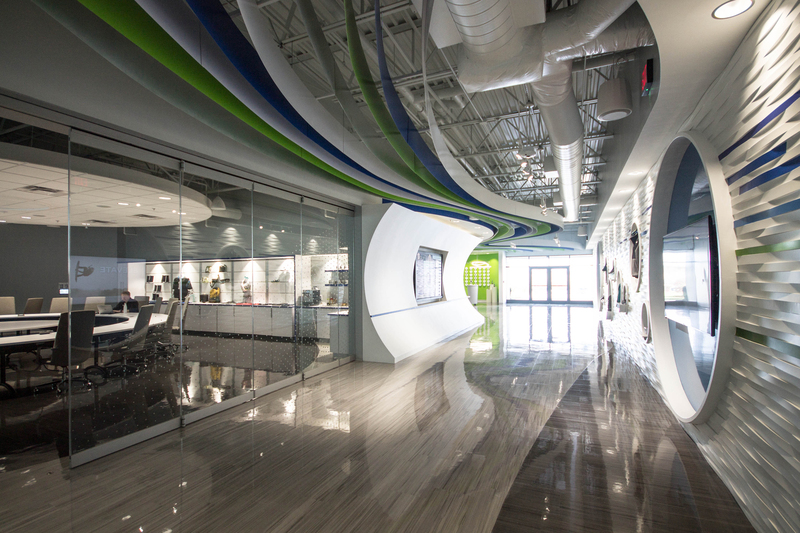 Adjacent to the Innovation Center, the facility commissary was redeveloped to express brand identity, upgrade employee and guest entertainment and dining accommodations, and provide key support space for Unifi’s best asset: it’s people.